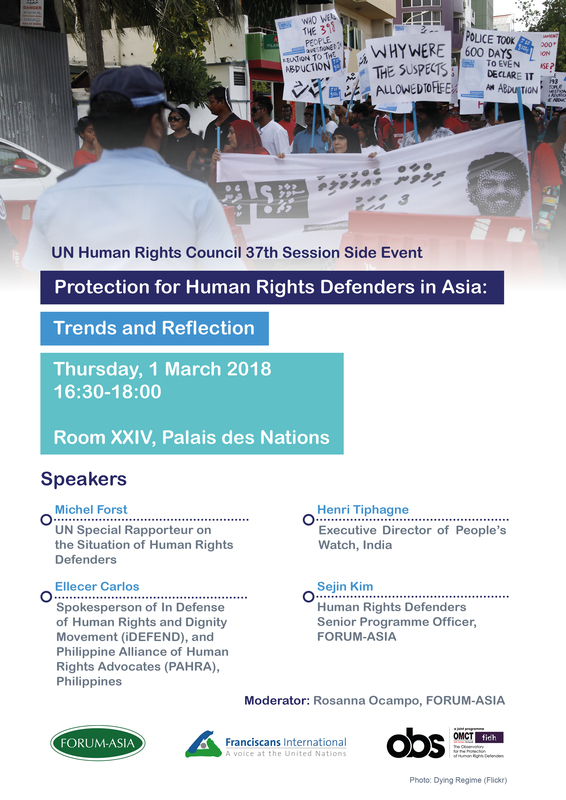 In the period of 2015-2017 Asia has become a dangerous place to promote and protect human rights, as spaces for defenders and civil society organisations across the region are shrinking, violations and harassment are increasing, while perpetrators continue to enjoy impunity. In 2017 alone FORUM-ASIA documented 251 cases of abuses and violations against defenders in Asia, of which 30 cases involved loss of lives. Defenders working on land and environmental rights, as well as pro-democracy activists, were increasingly criminalized, threatened and harassed for their human rights work. In response to the increasing challenges faced by defenders in Asia and on the occasion of the 20th anniversary of the adoption of the UN Declaration on HRDs, Asian Forum for Human Rights and Development (FORUM-ASIA), Franciscans International, and the Observatory for the Protection of Human Rights Defenders (a joint programme of the International Federation for Human Rights (FIDH) and World Organisation Against Torture (OMCT)) are organising a side-event to reflect collectively on the situation of HRDs on the ground. 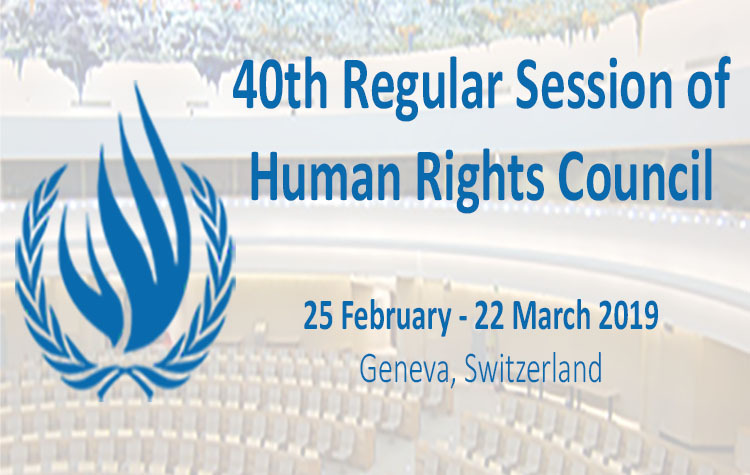 During the side-event, overall trends and findings related to the worsening situation of HRDs in the region will be shared, and particular cases of killings, disappearances, and judicial harassment in India and the Philippines will be highlighted. Dialogues on these issues impact directly on the lives, security, and protection of human rights defenders. These discussions will be linked to reflection from defenders from Asia about the 20 years of the struggle since the adoption of the UN Declaration on HRDs, and the achievement and failure of the international human rights mechanisms to provide protection for defenders on the ground.